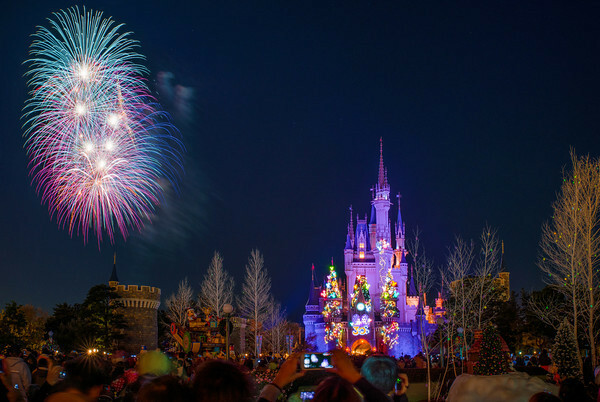 Winter wonderland at Tokyo Disney Resort! What better way to enjoy this holiday season than to visit the happiest place on earth! 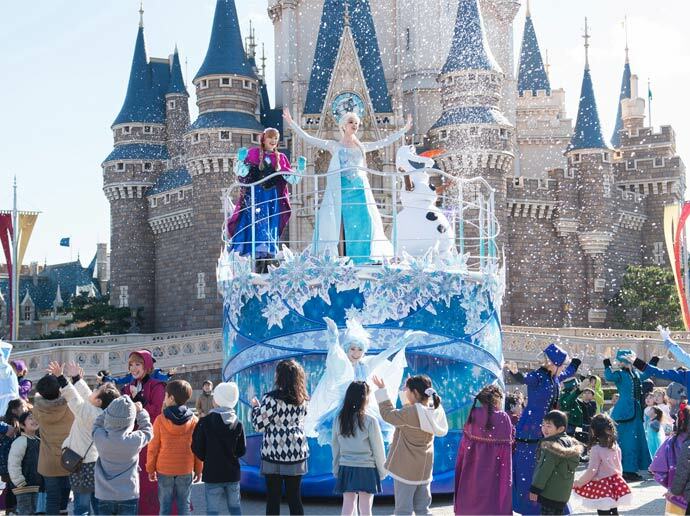 Disneyland Tokyo and DisneySea both have special winter events lined up, starting from November 2017 extending all the way to March 2018. 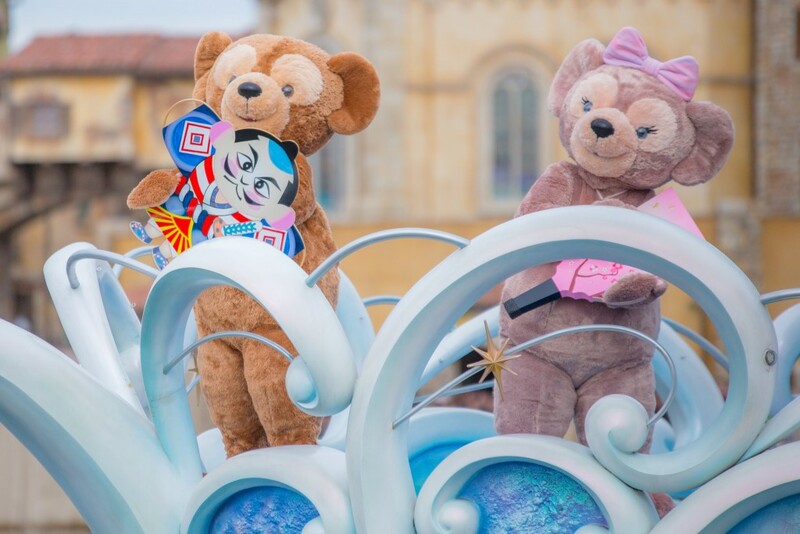 The parks will showcase special new parades for Christmas and the new year, and the gift shops will sell special merchandise and roll out limited edition menus. So if you will be travelling during the holiday season and wish to visit either of the two parks, here's what you can expect. The happiest place on earth will be decorated with Christmas trees, festive lights and New Year's banners. After the New Year events end, a Frozen event will begin, lasting until the end of winter. 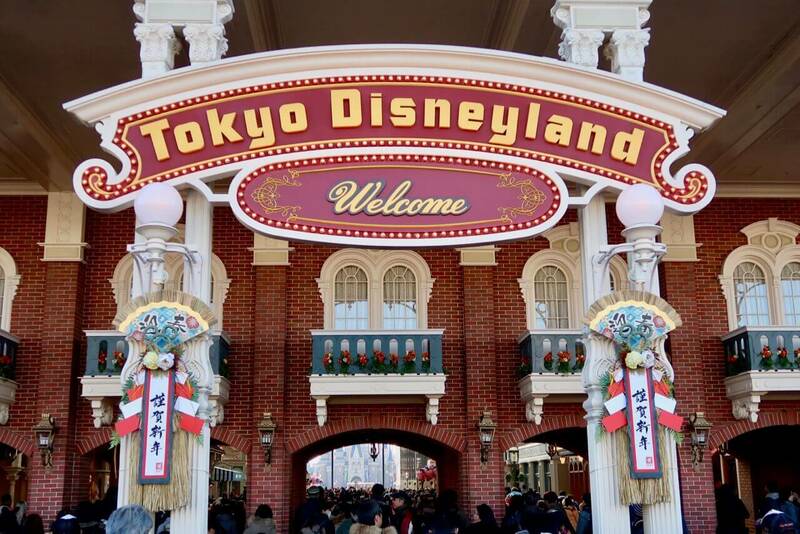 Disneyland Tokyo is the second most visited theme park in the world, with 7 themed areas- the World Bazaar, Adventureland, Westernland, Fantasyland, Tomorrowland, Critter Country and Mickey's Toontown. Disney gifts of Christmas- This night time parade is held at the Cinderella castle (Castle Forecourt) either once or twice daily, depending on the day. Holiday music and scenes fill the parade as Mickey and friends share Christmas gifts! The cast sing Christmas songs and greet everyone a merry Christmas. 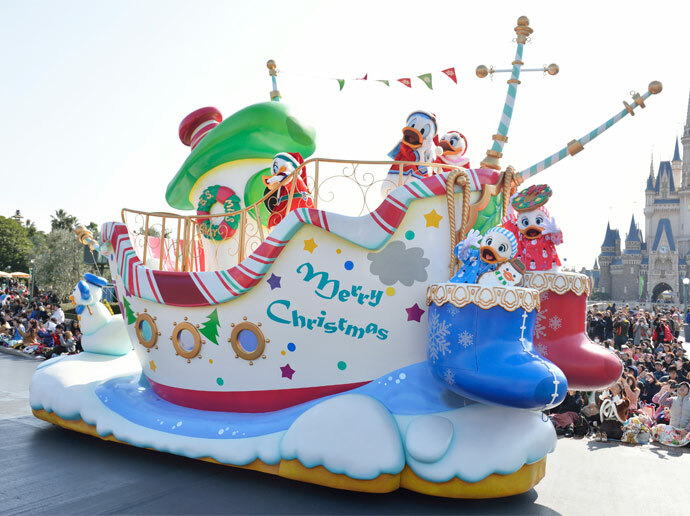 Disney Christmas stories- This parade follows the standard parade route and is held twice daily. 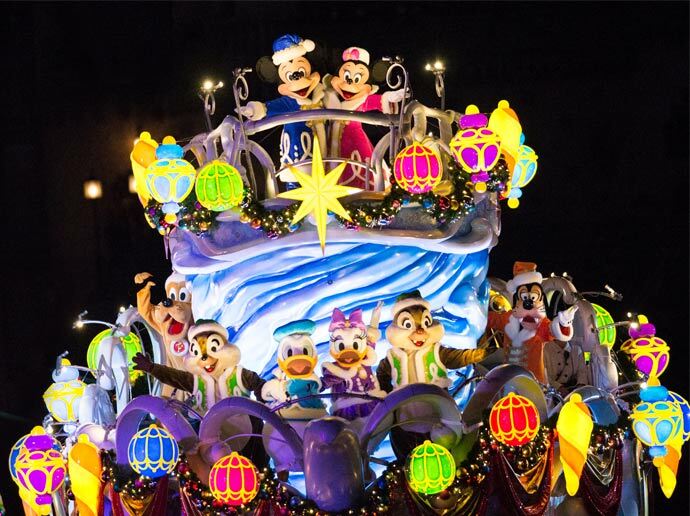 The various Disney characters share how they would like to spend Christmas as the colourful floats pass the crowds. The show features 7 unique stories of characters enjoying Christmas. Starbright Christmas- Winter illuminations and decorations light up Disneyland, with Christmas trees and festive lights. There are daily fireworks (5 minutes long)! 2018, which marks the Year of the Dog in the Chinese zodiac, will start with a bang as entrances to both Parks will be decked in traditional Japanese New Year’s decorations with designs of Pluto, and New Year’s merchandise and menu items will feature Pluto designs among others. New Year's Greeting- This parade will follow the standard parade route and will be held twice daily. 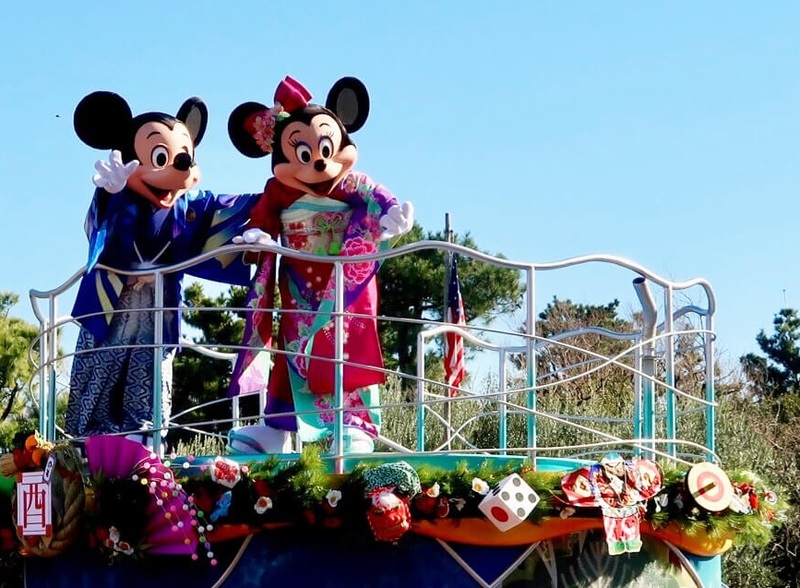 See Mickey and Minnie dressed in traditional Kimonos, as the entire cast greets everyone a happy new year! Pluto will make a special appearance as the symbol for the year of the dog in this year's parade. Special Merchandise & Menus- Get a uniquely Japanese twist to your merchandise, including kimono-clad Disney Character plush badges, and Pluto-motif daruma (Japanese good luck doll). Other items include New Year’s greeting cards and stamp sets featuring Mickey. Guests will be able to enjoy desserts that come in souvenir cups shaped like Japanese tea cups (750 yen) with designs featuring Mickey Mouse wearing kimono and Pluto. 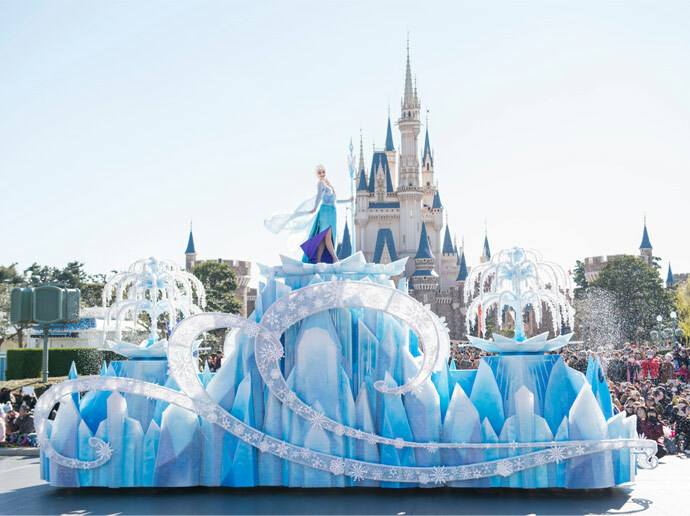 Frozen Fantasy Parade- This one of a kind Frozen parade can only be experienced at Tokyo Disneyland! Listen to Elsa and Anna belt out all your favourite frozen songs, and see Elsa reveal her mystical ice powers for yourself. This parade will follow the standard parade route and will be held either once or twice daily, depending on the day. Frozen forever- This show was a massive hit last year and will be back again for the frozen event! 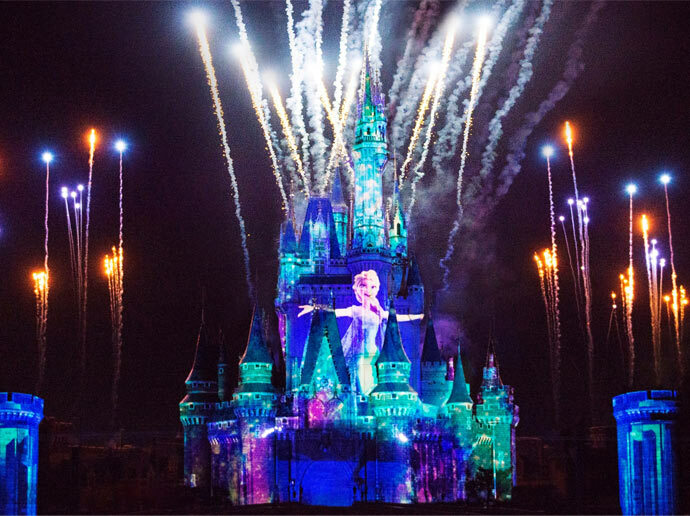 The night time parade will be held once daily and will showcase the film's best songs while lighting up Cinderella's castle (Castle Forecourt) with light and laser shows as well as fireworks for the finale. Elsa & Anna's Winter Greeting- This show will take place at the Castle Forecourt (in front of Cinderella's castle) once a day and will allow young ones to interact with Anna & Elsa, as well as the rest of the residents of Arendelle. As Elsa and Anna accept the childrens' greetings, Elsa makes it snow as a sign of gratitude! 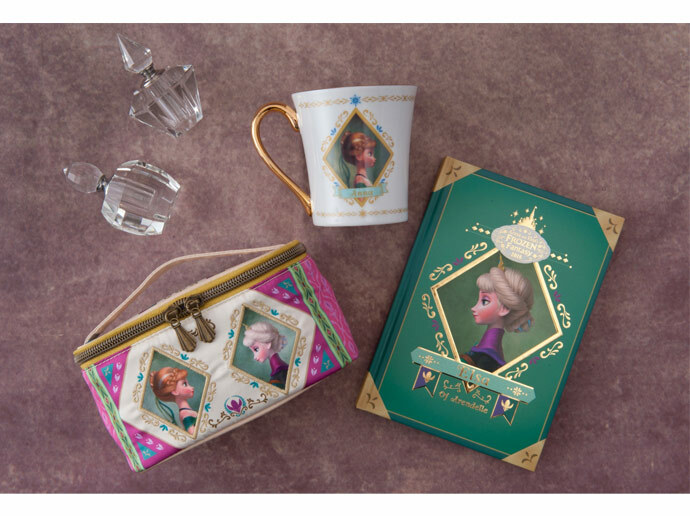 Special Merchandise & Menus- Catch merchandise featuring designs of Anna and Elsa in Arendelle, including mugs, notebooks, cushions and pouches sold at the Disney gift shops. Sweetheart Cafe, Grandma Sara's Kitchen and Refreshment Corner will offer special set menus inspired by the Frozen cast and film. check the crowd calendar here. Generally Wednesdays, Thursdays have the least crowds. Crowds will be inevitable during this time, but you can still try to avoid particularly popular days. Buy tickets online to avoid crowds on arrival. For ticketing information, click here. Plan your Fastpass! The fastpass is a reservation that allows you to go to the ride at a designated time, avoiding crowds. There is a cool off period after the use of a fastpass, and you cannot get another Fastpass during this time. It's best if you're able to collect a Fastpass as soon as the park opens. Click here for information on attractions which have Fastpasses. Use the single riders queue for Splash Mountain, which is the only ride with that option. Location: 1-1 Maihama, Urayasu, Chiba Prefecture 279-0031, Japan. Nearest stations are Maihama Station and Tokyo Disneyland Station. Operation Hours (generally)- 08:00 to 22:00. For more information click here. 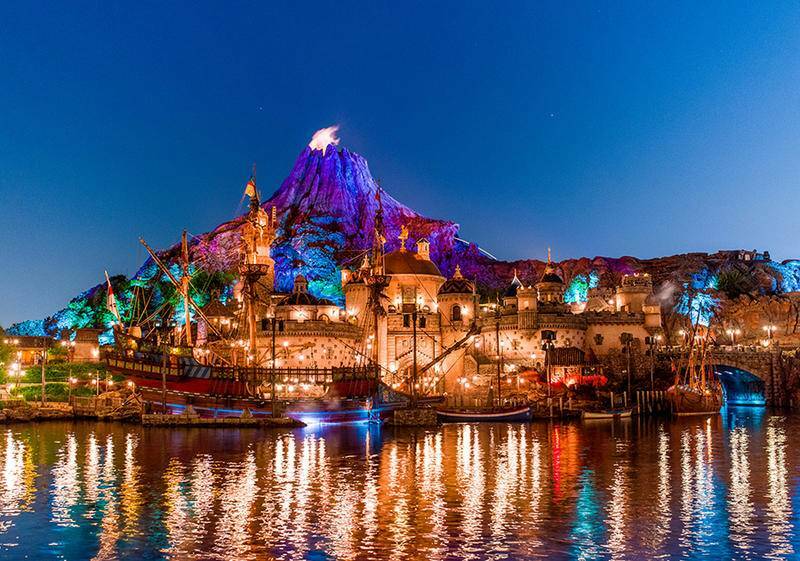 This theme park is unique to Japan and is the only Disney park with a nautical theme. The park will first bring in the Christmas cheer, and then will celebrate the new year with beautiful decorations and parades. There are seven themed areas within DisneySea- American Waterfront, Lost River Delta, Port Discovery, Mermaid Lagoon, Arabian Coast, Mediterranean Harbor and Mysterious Island. DisneySea is specially catered towards older kids and adults! Colours of christmas - This night time parade is presented on the waters of the central Mediterranean Harbor and features a large Christmas tree at the center of the harbor, as well as everyone's favourite Micky & friends aptly dressed for the holiday season, passing by on floats and greeting everyone merry Christmas! A perfect Christmas- This Christmas show is held three times daily at the Mediterranean Harbor. Mickey and friends share with the audience their favourite Christmas traditions and the joys of Christmas through song and dance as floats pass along the harbour. 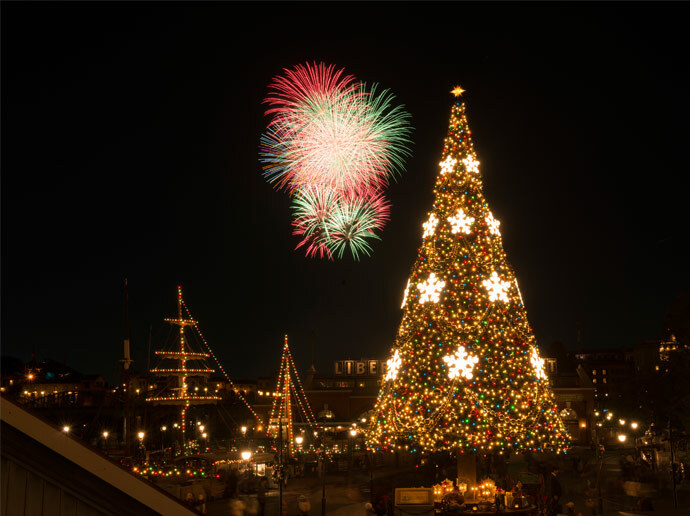 Starbright Christmas- Winter illuminations light up DisneySea with Christmas trees and festive lights. There are fireworks once daily (5 minutes long)! 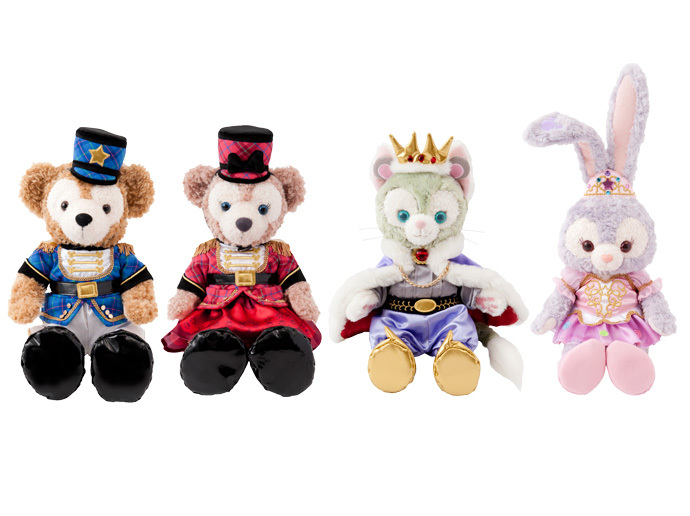 Special Merchandise & Menus- There are at least 35 different types of special merchandise designed for Christmas with the Disney Characters and the exclusive DisneySea mascots! Restaurants like Yucatan Base Camp Grill and Cafe Portofino within DisneySea will also be serving special holiday meals. 2018, which marks the Year of the Dog in the Chinese zodiac, will start with a bang as entrances to both Parks will be decked in traditional Japanese New Year’s decorations with special designs of Pluto. In addition to this, New Year’s merchandise and menu items will also feature Pluto designs. 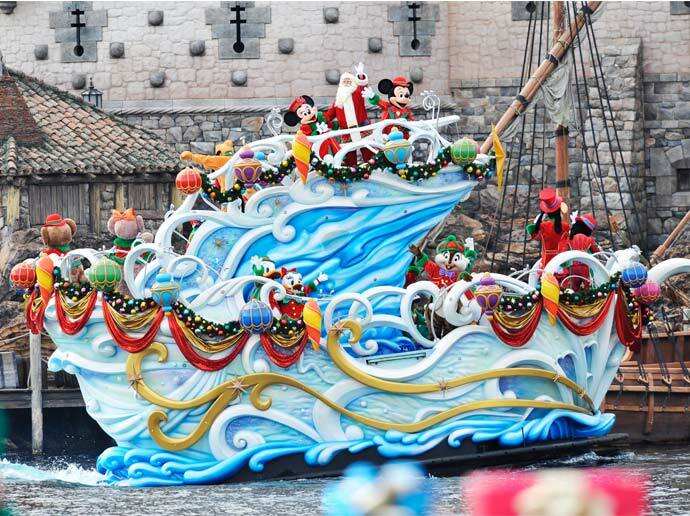 New Year's Greeting- This parade will take place at the Mediterranean Harbor 3 times daily. 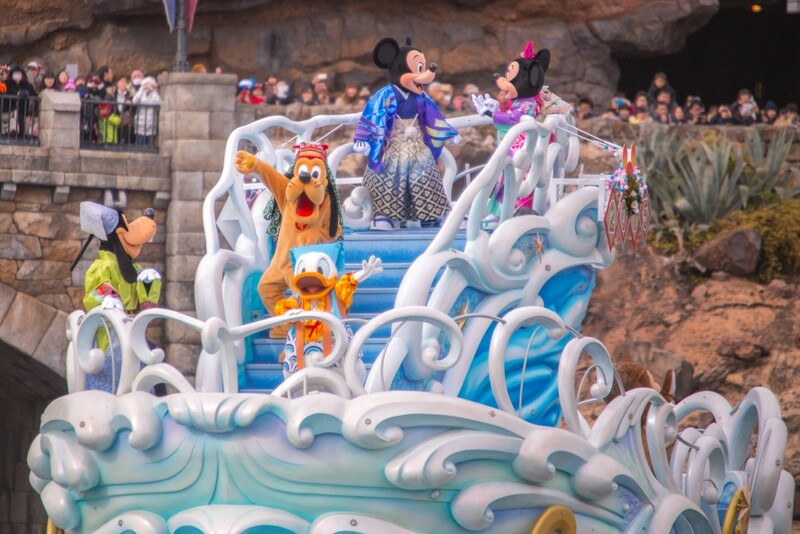 Mickey and friends will make an appearance along with the DisneySea Mascots with special new year's costumes, greeting everyone a very happy new year. This year's parade will include a special appearance by Pluto. Special Merchandise & Menus- Get a uniquely Japanese twist to your merchandise, including kimono-clad Disney Character plush badges, and Pluto-motif daruma (Japanese good luck doll). Other items include New Year’s greeting cards and stamp sets featuring Mickey. Guests will be able to enjoy desserts that come in souvenir cups shaped like Japanese tea cups (750 yen) with designs featuring Mickey Mouse wearing kimono and, of course, Pluto. check the crowd calendar here. Generally Tuesdays, Wednesdays, Thursdays have the least crowds. Crowds will be inevitable during this time, but you can still try to avoid excessive crowds. Plan your Fastpass! Like Disneyland, Disneysea also has rides with Fastpasses. 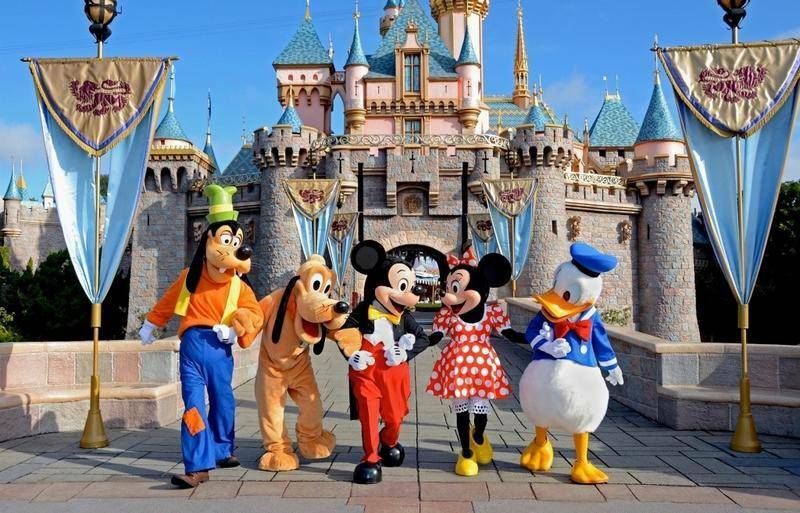 Click here for information on attractions which have Fastpasses. Use single rider lanes for Indiana Jones Adventure: Temple of the Crystal Skull and Raging Spirits, which are the only rides with that option. Location: 1-13 Maihama, Urayasu, Chiba Prefecture 279-0031, Japan. Nearest stations are Maihama Station and Tokyo Disneyland Station. Both Parks will be open for regular operations starting from 9:00 a.m. on January 1. Please note that special operating hours will be in effect from 8:00 p.m. on December 31 2017 until 7:00 a.m. on January 1 2018. Admission to the Parks during the special operating hours requires exclusive Passport tickets that are sold in advance only. 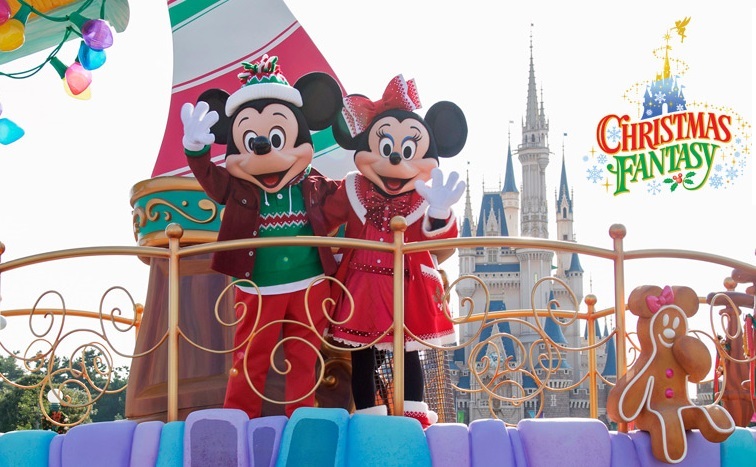 Please check the Tokyo Disney Resort Official Website for more details.